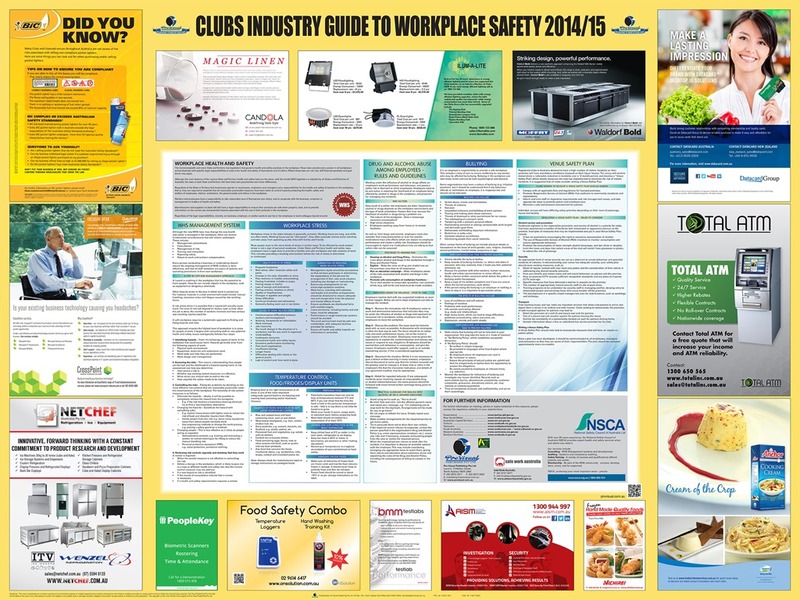 Pro-Visual Publishing, with the support of the National Safety Council of Australia, has recently released their 2014/15 annual Clubs Industry Guide to Workplace Safety. This year’s guide was distributed to club industry managers throughout Australia to inform and keep them up-to-date with the most recent laws and regulations for the Industry. Prominent topics in this year’s guide include WHS management systems, Venue Safety Plan guidelines, and internal issues, including bullying and workplace stress. The new Work, Health and Safety laws have created some changes for workers, however, this year’s guide highlights the important topics that will not be impacted, such as management commitment, training and instruction, management of risks and more. It is also crucial that each club has a Venue Safety Plan so the guide offers step-by-step tips on how to create one for your club. work-related stress, health effects of stress, eliminating or reducing stress and tips on how to alleviate the effects of stress are all discussed. Pro-Visual Publishing is the leading specialist in wall-mounted workplace health & safety, food safety & hygiene and health and wellbeing information resource charts. Each chart is practical and informative, providing a quick reference point for management and staff. Pro- Visual Publishing’s charts are designed to inform, motivate, educate and above all keep people and their workplaces safe!